Parenting brings many difficult tasks. From the time you are changing diapers to the time you are teaching your children how to drive, you are constantly challenged. One of the most difficult challenges parents face is getting their kids to properly brush their teeth. Unfortunately, kids do not understand how valuable their teeth are and what neglecting them will do to their oral and overall health. Hint #1: Set a brushing schedule for your children. If you make brushing a part of their daily routine it will become a habit. The sense of brushing their teeth should not be optional, but something that is a part of their every day. 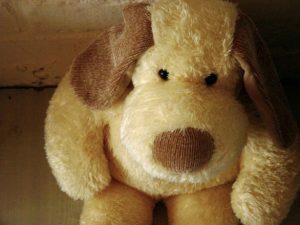 Hint #2: Your children have a special connection with their stuffed animals or blanket. These things go everywhere with them; they take them in the car, to bed, and to grandma and grandpa’s house. These objects give your children a sense a security and comfort. If you allow your children to bring these things to brush their teeth, they will be more comfortable. Additionally, having their stuffed animals with them while brushing will pique their imagination resulting in more brushing time. Hint #3: Give your children the choice of which toothpaste to use. Children receive very few opportunities to make decisions on their own. If you let your children choose which toothpaste they will use, it will give them a sense of pride in the decision. Please watch your children brush in order to ensure they are using a good amount of toothpaste. A little dab will do. Hint #4: Let your children use an electric toothbrush. An electric toothbrush will help your child for a couple of reasons. First, due to the poor brushing form children use, an electric toothbrush will make up for this and ensure their teeth are being cleaned properly. Secondly, children tend to be interested in an electric toothbrush and will use them longer than a “boring” manual brush. Hint #5: Choose a song your child loves and designate it for brushing time. If your child gets to hear a song they love every time they brush, they will be more inclined to brush more often and look forward to this time. If you have any questions about your children’s brushing habits or dental health, please feel free to contact us. If you are in the Sidney, OH area and would like to schedule a dentist appointment for you children, feel free to contact us.